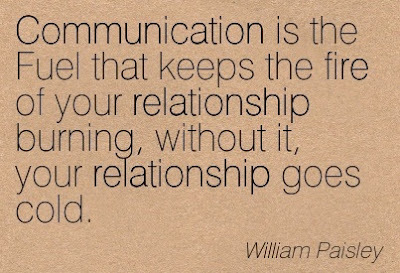 While it has been said that communication is at the epicenter of all good relationships, I really couldn't agree more. Maybe it's due to my background or having a degree on the subject or just my love of talking; either way I totally support this statement. Think about all the times you just held things in, busting at the seams to scream out your feelings, but just keep that crap bottled up. What did it do for you? Did it make you feel good? Probably not. Ultimately you have some choices. You can let things that bother you go unsaid and watch them turn into resentment, creating situations of passive aggressive behavior (my personal pet peeve) or you can let everything roll of your back without a care in the world...and hey, if you can do that...PROPS to you! Is it always easy to have a serious discussion about how you feel? No, not at all, but it is something that if not done, will most often end negatively. It is not safe to assume everyone around you to be a mind reader and just intuitively knows what's bugging you. I cannot stand when someone is clearly annoyed and when asked, "Hey, are you ok? What's wrong?" you get the old, quiet and eyes down, "Nothing". BULL-OH-NEY. Why don't you just say what is going on, even if it simply prompts verbal/mental diarrhea (one of my favorite mental cleansing actives too BTW). 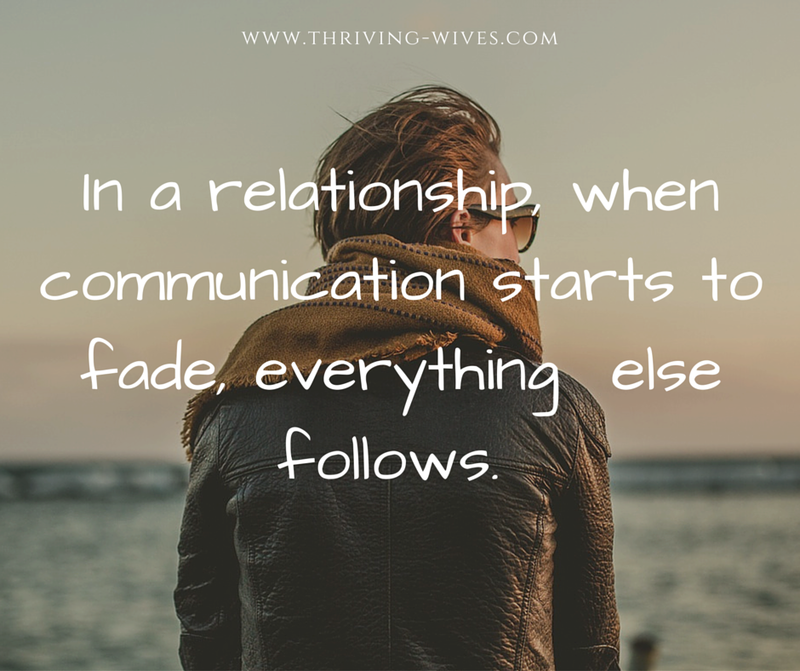 Communication is essential for a healthy relationship to thrive; and when I say relationship, I mean ALL relationships. 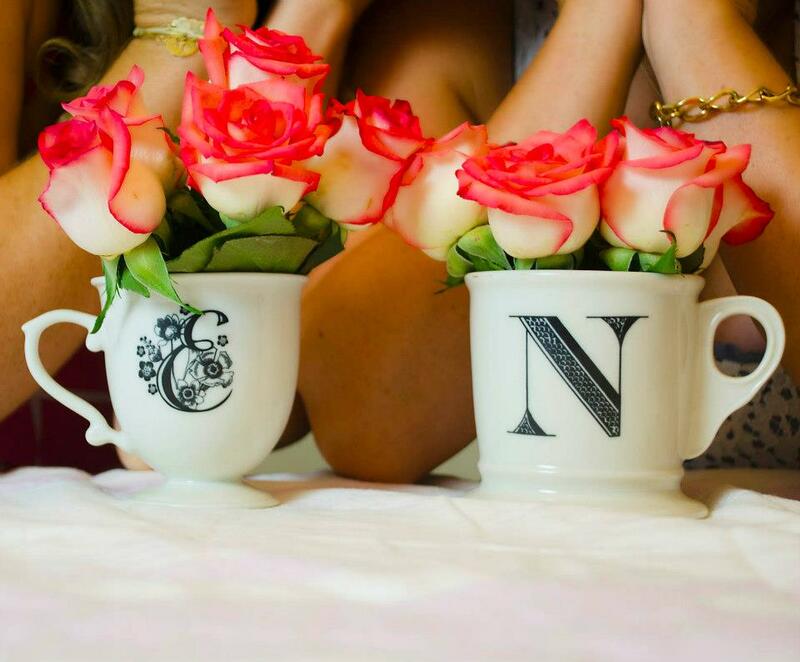 That includes but is not limited to: marriages, friends, family, professional and personal. 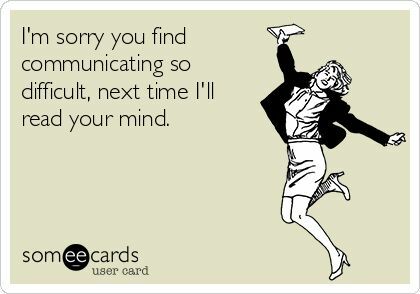 If you don't talk out things, you may ruin perfectly good relationships simply by trying to avoid "confrontation". Let's also clear up a bit of misunderstanding regarding that big word. The poor word, "confront" has really assumed a negative connotation. You can just as easily confront someone in a polite way as you can in a nasty way. Strive to keep "confrontational" communication transactions calm, cool and collected. Confront others in a way that is going to benefit all parties involved. Use "I" messages and be honest about how you feel, how you received a message and your interest in determining what was truly meant by the the other person. Most often, it was a misunderstanding of the message and can be cleared up easily. You have to be honest with yourself and with others, especially if you care enough about the relationship to want it to grow. Identify what bothered you and ensure that you perhaps aren't reading too far into the situation (I always start here as I am a master analyzer...not a good thing mind you). If you can't seem to shake something, then just talk it out. Even if the other person doesn't agree or understand where you are coming from, hopefully there can be validation and appreciation in your effort to communicate your feelings. What communication tactics have you found useful to keep relationships thriving?